These are much more help than the dishes since they measure exact quantities. You could do the same thing with a set of measuring cups but these are just great to use as serving spoons. They hook onto bowls upside down or rightside up and the round shape makes them easy to empty. They are expensive for what they are but they really help. I use these a lot. They are handy & I like the sizes. Surprisingly, I use the 1/8th cup most of all. I halve & quarter most recipes so it is especially useful. 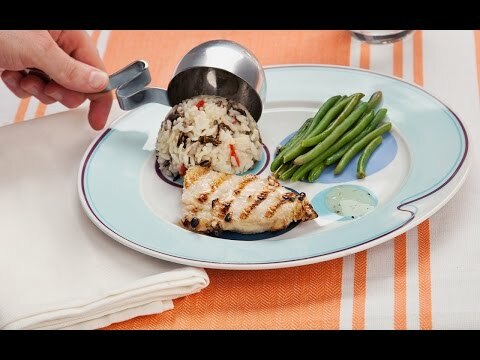 This really works, to measure each portion of food. 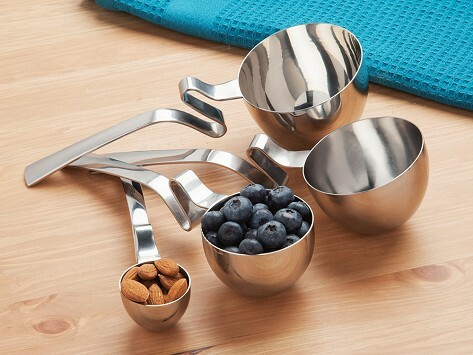 These spoons are great for measuring out portions without guessing. I especially like that they sit flat and have multiple uses.